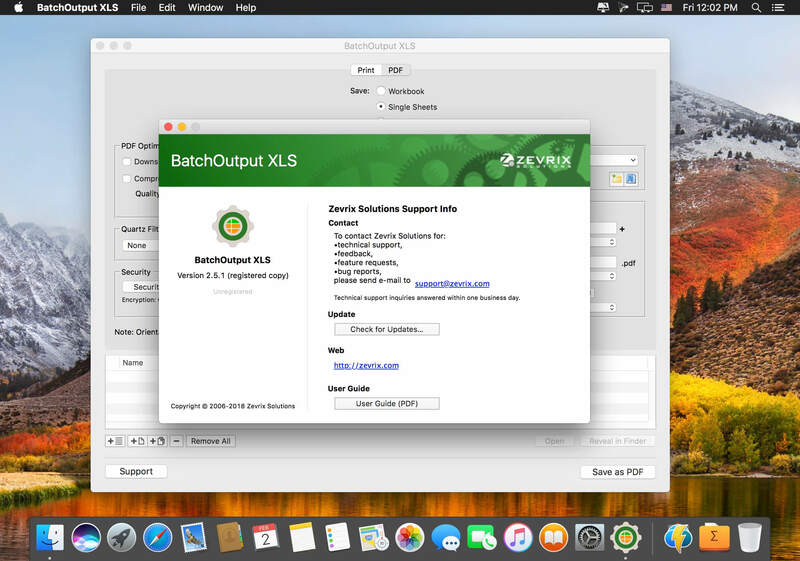 BatchOutput XLS automates printing and PDF production from Microsoft Excel. Just add Excel files to the BatchOutput XLS list, adjust the settings, and BatchOutput will do the rest automatically. For example, BatchOutput can be left to process hundreds of Excel files overnight, and the completed job can be picked up next morning. 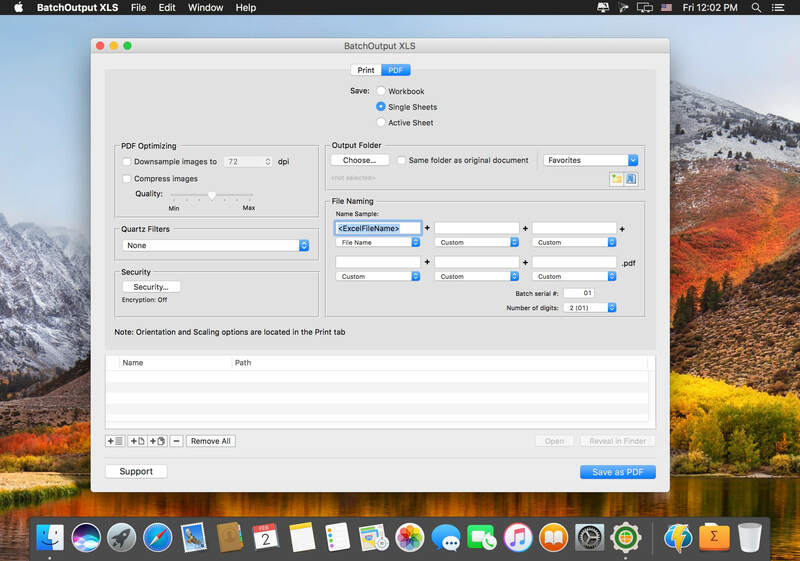 [New] When exporting single sheets to PDF, multi-page sheets are now exported as single PDF files (as opposed to being split into single pages). 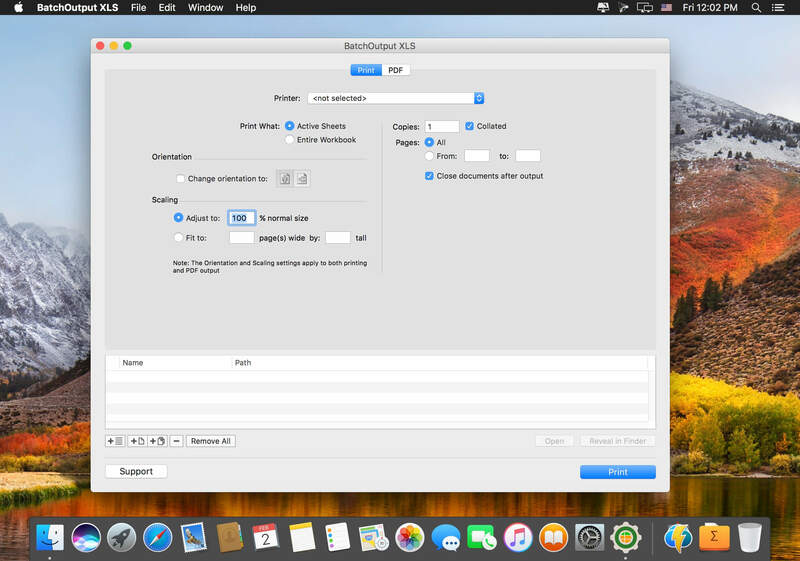 The sheet name is now also appended to the PDF file in this case.